BGC is helping to raise fun for CARIF (Cancer Research Initiatives Foundation) in conjuction of Terry Fox Run 2012. You can support the cause by getting yourself or your loved ones the Terry Fox Run t-shirt through us. Each t-shirt is sold at RM30. Just add your name and t-shirt size here. If you are going to get more than one, please list them down in separate lines with their sizes. Note: Order closed and thank you for your support. Will inform all about the t-shirt collection when they are ready for pick up. The closing date of the t-shirt order is on 10/10/2012, and we are finalizing the order. One L for you and one XXS for Silvia. Those who wish to pay through bank deposit for your Terry Fox Run t-shirt order, please remit payment to this Public Bank account and inform me once it's done. 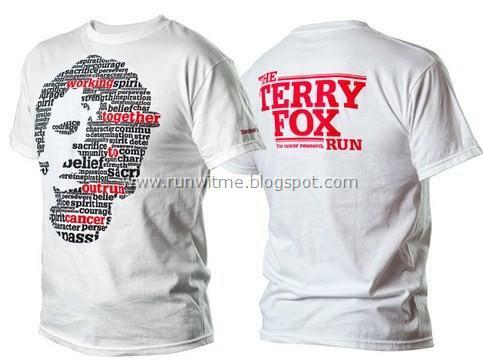 BGC Team Terry Fox Run t-shirt will be ready for pick up at OTK this Tuesday (6/11/2012) onwards. BGC Team Terry Fox Run t-shirt will be ready for pick up at OTK this Wednesday (7/11/2012) onwards.